2020 Maruti Alto receives Future S concept inspired exteriors and interiors with micro crossover body styling. Hat tip to automotive enthusiast Parveen Kumar for the spy shots. Maruti Suzuki India Limited has commenced road tests for its next gen Alto hatchback. 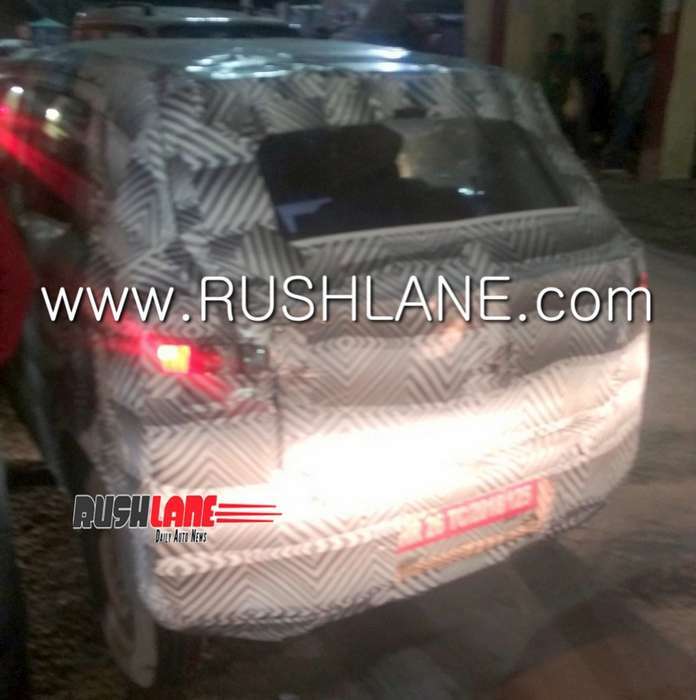 With a festive launch on the cards, the car was recently spotted on test in Kufri near Shimla. This is the same place where the new gen WagonR Electric was also spotted a few days back. The next gen 2020 Alto sported complete camouflage, but the overall shape of the car has been completely updated. It no longer carries the small car look, instead gets Renault Kwid like SUVish stance. 2020 Maruti Alto will be heavily based on the Future S-Concept, that was showcased at the 2018 Auto Expo. It will sport a micro crossover body style – appealing to the new generation of entry level car buyers. Maruti is benchmarking the new Alto with Hyundai Santro, a car which is from a segment above the Alto. This could possibly imply that Maruti aims to offer Santro package at the price of Alto. Unlike the current Alto, which does not comply with the upcoming safety and emission norms, the new Alto will be ready to meet those norms. Just like all new Maruti cars launched recently, Alto too will be positioned on the Heartect platform. It will be the 6th Maruti car to be based on this platform; first five being Swift, Dzire, WagonR, Baleno and Ignis. Usage of this platform will result in the body getting more structural strength than current Alto, but at the same time resulting in the reduction of kerb weight. 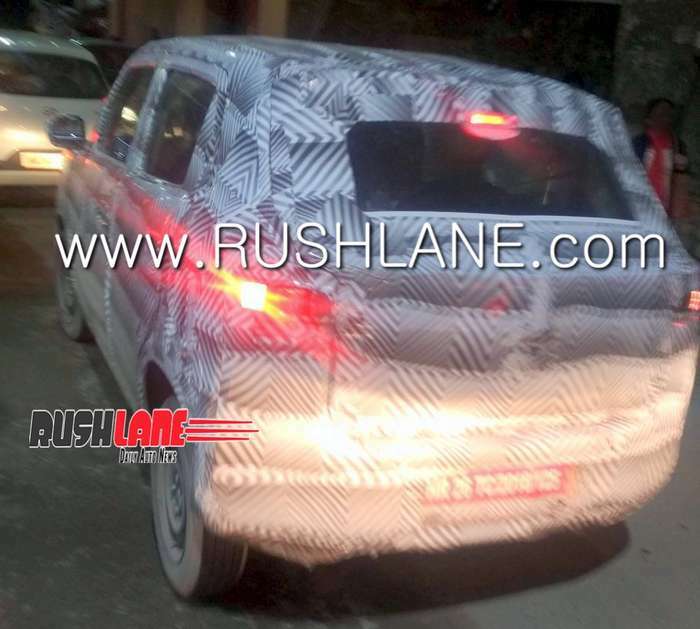 New Maruti Alto spied on test in Kufri. Next big Maruti launch for 2019. The interiors of the new Alto will also get heavily updated. Expect it to feature an updated 7.0” SmartPlay Studio touchscreen infotainment system (from WagonR), steering mounted controls, parking sensors and speed warning. Dual airbags, ABS and EBD will be offered as standard. Lower variants will get a Bluetooth audio system with USB and AUX while there will be front power windows offered on the higher variants. Where space is concerned, not only will the new Alto offer better cabin space, but boot space will also be enhanced. 2019 Maruti Suzuki Alto could continue with its 800cc and 1.0 liter petrol engines which will meet BS VI emission standards. These will be mated to 5 speed manual gearbox and AMT. A factory fitted CNG kit could also be offered on the new Alto. Being of lighter weight, the new Alto will deliver better mileage than current Alto. It will also be more powerful and deliver better driving performance. Enhanced looks, safety features and fully equipped cabin will see the new Alto command a slightly higher price over its current model; which is priced from Rs.2.65-4.23 lakhs. Like its current counterpart, the new Alto will also compete with the Renault Kwid and Datsun Redi-GO.